How many times have you wanted to use a new tool or tracking feature that specifically targets all of the incoming search traffic to your site, but also shows you all of the potential longtail keywords that you are missing out on? 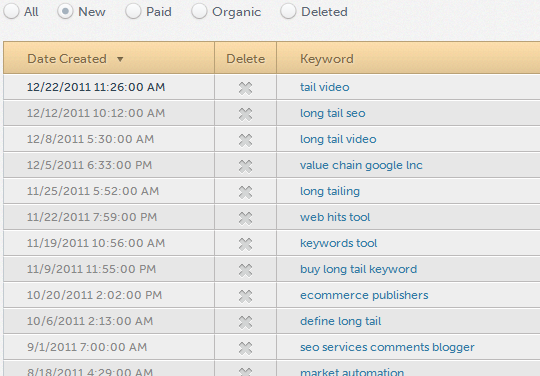 A new keyword tool called HitTail offers this exact service. In this post we are going to provide a nice review on what HitTail can do for your web site or blog, and how you can improve your traffic through the use of longtail keywords. Once you sign up for an account with HitTail, all you need to do is grab their HTML code and throw it on your site. After you have some traffic running through the site, the HitTail system will provide you with some detailed reports showing what people are searching for (and where) and eventually ending up at your web site. 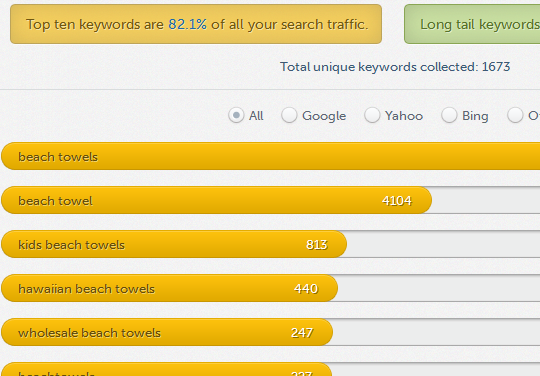 You can sort all of these search features based on paid traffic or organic search results. What I really like about HitTail is how it breaks everything down on their web site in their easy to understand reporting area. You can easily pull up reports of what keywords are your main keywords that deliver all of the traffic, versus those long tail keywords that continually bring in traffic over time. Some web sites have 10% of their traffic coming from top keywords, while others may see 80%. It’s all about tracking and knowing where your traffic is coming. Another great benefit to the system is that once it starts to accumulate enough keywords and see what your site is ranking for, it will then offer suggestions on what keywords you can start targeting and easily rank for. In addition to offering this suggestions service, HitTail also offer the actual service of writing and creating the content for you. 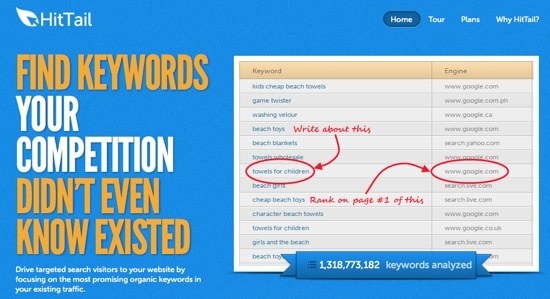 All of the articles will be high in quality and keyword rich to help your site rank for these terms. The cost is $19 for a 400 word article and the turn around time is usually 2-3 days. No matter the size of your web site or blog you can benefit from knowing exactly where your traffic is coming from. HitTail is currently offering a free 30 day trial to test out their system and give you an idea of how beneficial it can be for your site. After your 30 days is up, you will then have a chance to upgrade your account depending on the amount of traffic and deep reporting your would like to have access to. Check out the tour at HitTail to see a quick walk through of everything their system has to offer and don’t forget to sign up for the free 30 day trial.